Mat Perlot, RV industry entrepreneur and founder of Safari Motor Coaches, died on October 5, 2012, after an extended illness. The two-day shoot started at Millennium’s manufacturing facility in Central Florida and then the crew hit the road with company owners and avid RVers Nelson and Evelyn Figueroa and their children. Production wrapped up at Mt. Olive Shores North. The show will demonstrate the new features found on the latest Millennium models. The airdate for the episode had yet to be announced at press time. In addition to Millennium, the show will feature other multimillion-dollar prized possessions and the people who manufacture them. To learn more about Millennium Luxury Coach, visit www.millenniumluxurycoaches.com or call (877) 322-0190. Lazydays, an RV retailer with locations in Tampa, Florida, and Tucson, Arizona, has entered into a partnership with Born Free Motorcoach to sell the company’s Type C motorhomes at both of its dealerships. This agreement makes Lazydays the only RV dealership in the country from which customers can purchase new Born Free Motorcoach products. Born Free will continue to sell to customers direct from its factory in Humboldt, Iowa. According to a press release, by allowing Lazydays to sell its motorhomes, Born Free now can provide its customers with more convenient access to its products. Plus, owners can utilize the expert service available from Lazydays’ master-certified technicians and enjoy all of the amenities available at its dealerships. To find out more about the Born Free motorhomes available at Lazydays, along with other brands the company carries, visit www.lazydays.com or call (800) 306-4002 (Tampa) or (800) 306-4011 (Tucson). For more information about Born Free Motorcoach products, visit www.bornfreemotorcoach.com or call (800) 247-1835. 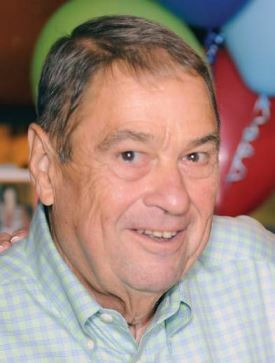 Mat Perlot, RV industry entrepreneur, passed away October 5, 2012, in Portland, Oregon, after an extended illness. He was 77. Mr. Perlot was born and raised in the Portland, Oregon, area. He served in the U.S. Army as a military policeman and a paratrooper. After an honorable discharge from the military, he worked at several companies before starting his own outdoor clothing manufacturing company, Western Trails, in Bend, Oregon, in 1968. He eventually left the garment business and went to work in the recreation vehicle industry as a marketing manager with Monaco Coach Corporation, Country Coach Inc., and Beaver Coach. In 1986 he started his own company, Safari Motor Coaches, which would become SMC Corporation and ultimately incorporate Beaver Coaches and Harney Coach Works. In 2001, SMC Corporation was acquired by Monaco Coach Corporation. Mr. Perlot also established Silver Creek Ranches of Oregon LLC in Riley, where he raised cattle and grew alfalfa. In retirement, he lived in Arizona and spent time in Mexico and Alaska, where he entertained friends on his fishing boat. He was said to always be planning the next fishing adventure. He is survived by his wife, Connie; sons Mike (Kathy), David, Gordon, and Martin (Myra); and 11 grandchildren. Remco Drive Shaft Coupling (DSC), a division of SuperFlow Dynamometers & Flowbenches, announced it now has a full inventory of newly designed parts and has resumed in-house production at RemcoDSC’s 65,000-square-foot manufacturing facility in Des Moines, Iowa. According to a press release from RemcoDSC, moving driveshaft production and shifter assembly to RemcoDSC’s manufacturing facility provides several advantages. Now all driveshafts are produced in-house on a new Axiline Shaftmaster and are fully balanced at the factory. The addition of two full-time production employees has reduced manufacturing time. Also, staff engineers can provide timely development of new applications. RemcoDSC has new literature available along with an updated instruction manual. In the coming months the company will begin shooting a point-of-sale video for the DSC and a “how-to” video for installation. Both will be available for download on the company’s Web site. Looking forward, company representatives note that RemcoDSC will continue to develop innovative towing solutions for automatic-transmission vehicles. New applications for the Drive Shaft Coupling are being added frequently, and the company’s engineering staff is available to design them quickly. If motorhome owners have a vehicle they’d like to tow that isn’t listed on www.remcodsc.com, they can call (855) 447-3626. In 2011 Remco Manufacturing, which sold both Lube Pump and Drive Shaft Coupling devices, was split up. Remco Manufacturing retained the Lube Pump products sold by the company, and RemcoDSC took over the Drive Shaft Coupling side of the business.